Black feathered crow is 4.7"' at it's longest dimension. Quality product from large, well-known craft supply company, Darice. The smaller size allows the bird to be perched easily on picture frames, mirrors and plants. The third picture shows it with the small flying crow and the last picture shows it next to the 6 - 7" crow. This listing is for a group of six crows. 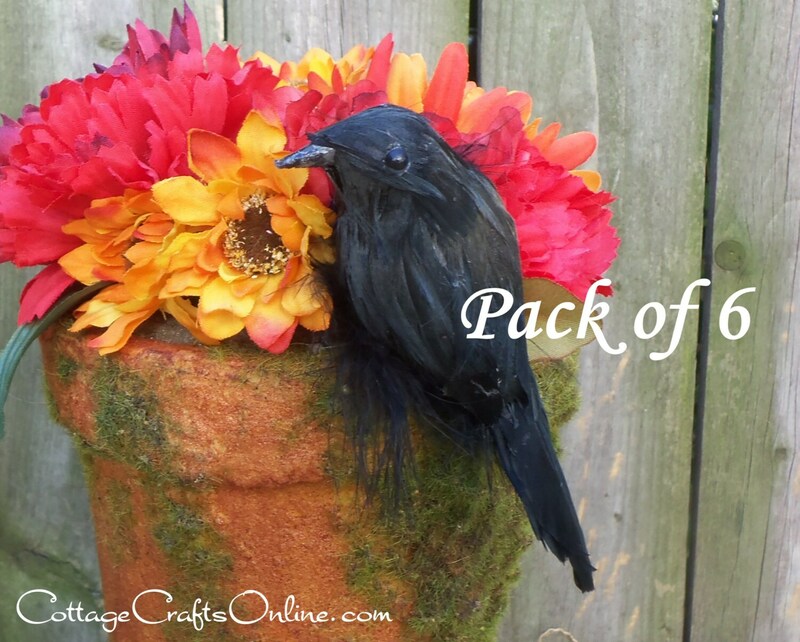 These crows are absolutely beautiful!They arrived in a beautiful package!Elizabeth is a great seller and although we ran into some delivery delays, the situation was handled in the most professional way possible!Thank you!